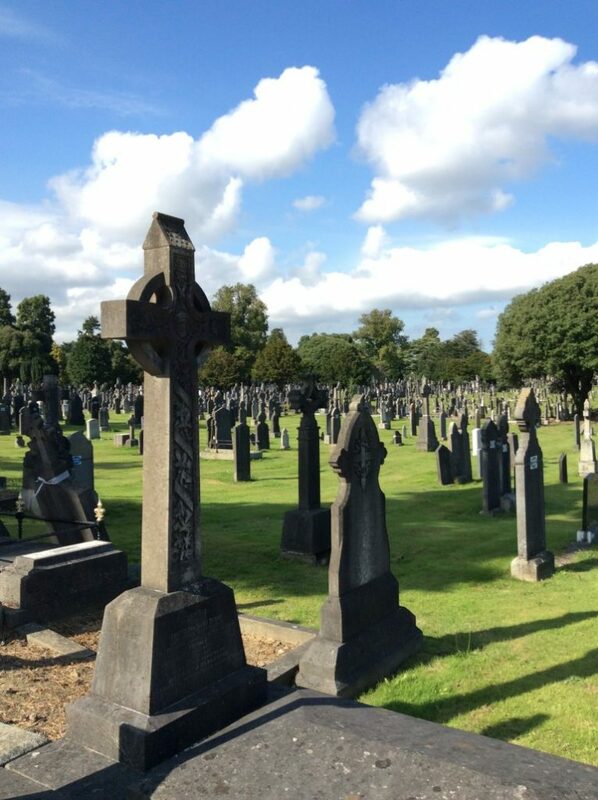 Adding to our previous posts in the USA , Europe, Asia, The Americas and Australia, here are a few of the many interesting cemeteries in the United Kingdom and Ireland…. 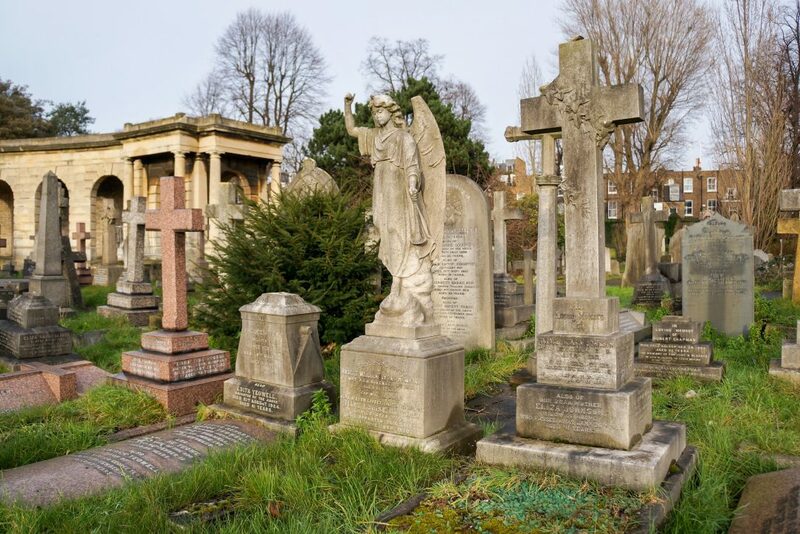 Brompton Cemetery in London is one of those quintessentially Victorian cemeteries that you see in horror and period movies – think Sherlock Holmes and Finding Neverland, which were actually filmed here. 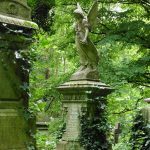 It is part of what is known as ‘The Magnificent Seven’ cemeteries in London, and you will realise why as soon as you walk through the gate. 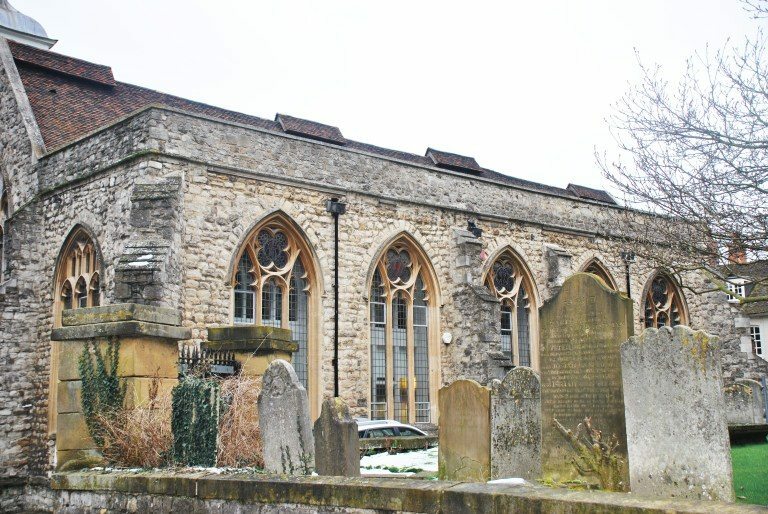 Built in 1840, it is one of Britain’s oldest cemeteries and it has over 35,000 monuments that go from simple headstones to grand mausoleums. Here you can find the graves of notable people such as Emmeline Pankhurst, the famous suffragette. Don’t forget to visit the beautiful chapel and the colonnade. The catacombs are open to the public once a year, and if you happen to be there around that time, don’t miss this opportunity. 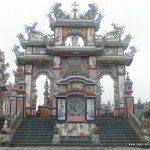 Even if you don’t go in, have a peek through the gate and you will be able to see the ornate coffins stacked up on shelves. A pretty daunting sight! 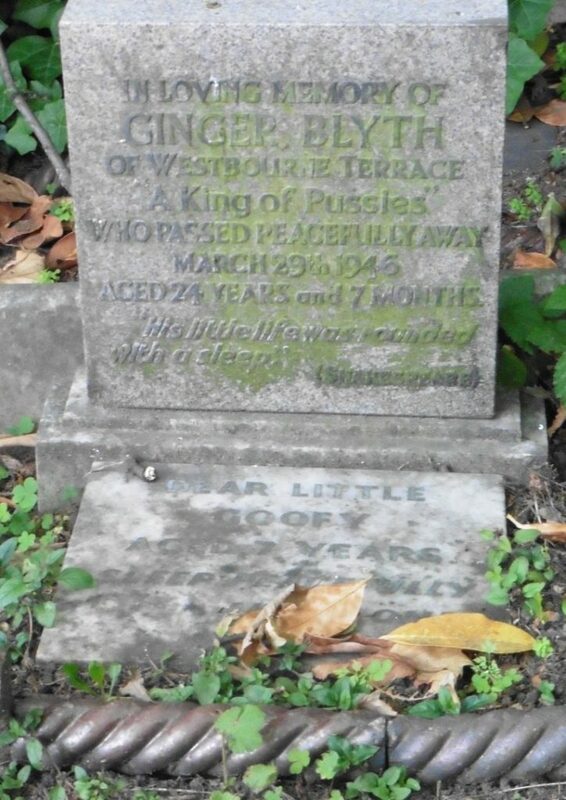 In 1881 the Gatekeeper at Victoria Lodge started burying dogs in the Lodge’s Garden. Today the garden is full of little headstones of not just dogs but cats and even a goat. 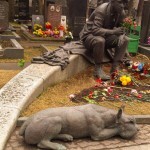 The cemetery is a poignant reminder of the connection people have with their pets. 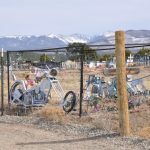 Most of the pets were owned by the people who lived near the park so often spent a lot of time there. 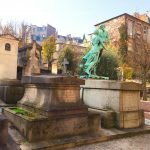 It is easy to spend an hour or so wandering through the small garden and reading the epitaphs on the 300 graves. The Cemetery is only open by booking only (via email on this page)and costs £50 for up to 6 people. 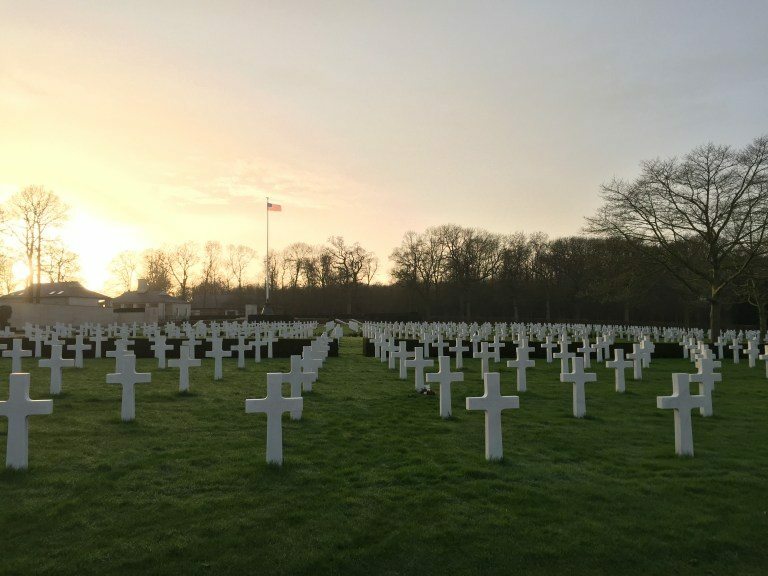 The American Cemetery is located just outside of Cambridge, UK and is the only American WWII cemetery in England. If you’re in Cambridge, it is well worth the trip whether you’re American or not. The Visitors Centre has recently been redone and they have a gorgeous set up – some history about the war, interactive displays, as well as the bios of some of the soldiers who are buried in the Cemetery. It’s a somber experience, but a beautiful one, containing close to 4000 graves, along with a Chapel and the Wall of the Lost, a list of 5000 soldiers who were MIA in the war. The Glasgow Necropolis stretches over an area of 37 acres and over 50,000 people are buried there. The huge area of the necropolis is full of impressive graves, monuments and mausoleums and overlooks the impressive Glasgow Cathedral. 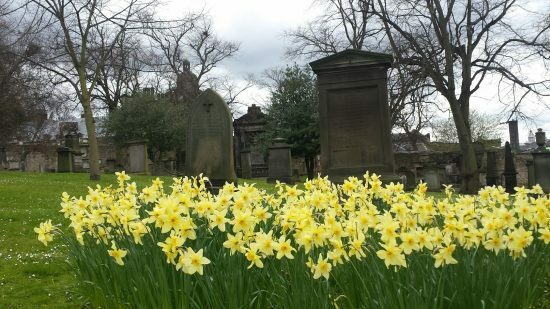 The people of Glasgow, called Glaswegians, have been buried there since 1825. 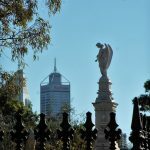 You can spend hours wandering through the graves and admiring the wonderfully crafted Victorian statues. 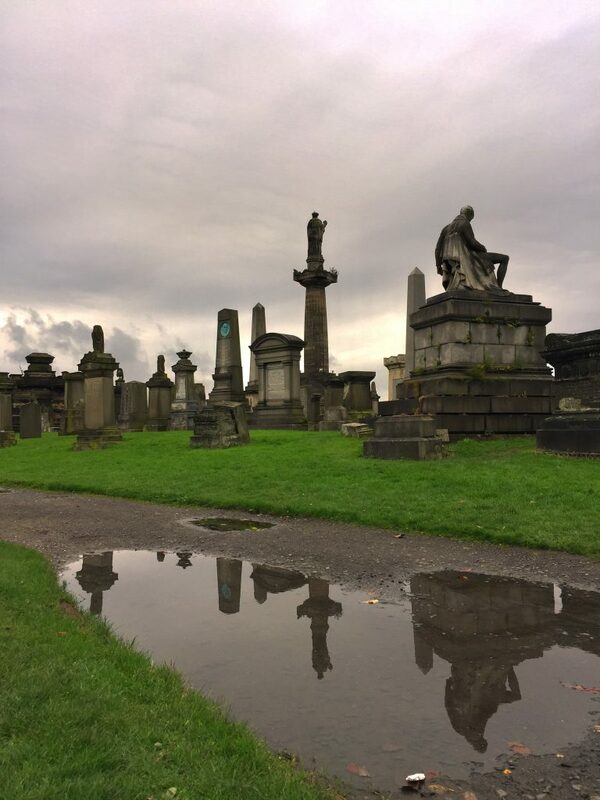 The best time to visit the Glasgow Necropolis is the morning after a rainy day. Imagine walking through the graves through the morning fog with the statues and monuments reflecting in the water. It’s the perfect setting. Greyfriars Kirkyard in Edinburgh, Scotland became the city graveyard in 1551. 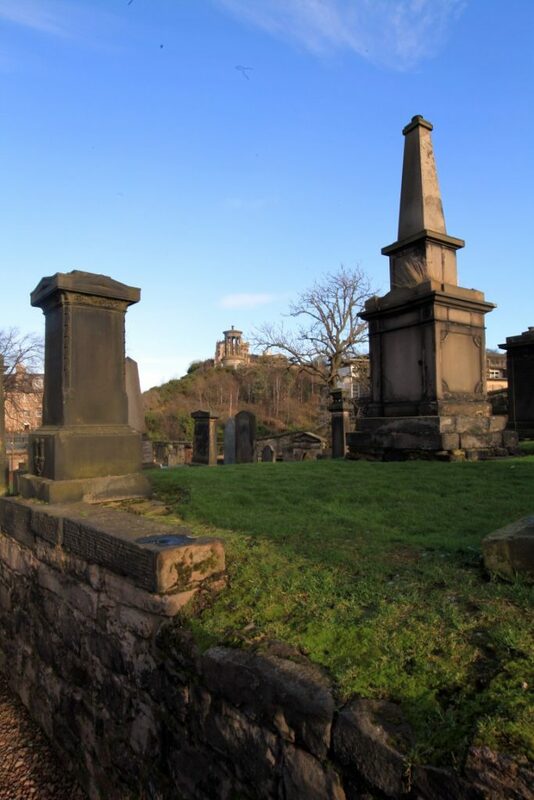 Some of the graves have locked grates over them, to deter early 119th-centurygrave robbers looking for corpses to sell to Edinburgh Medical College. I went to Edinburgh with my dad for a short weekend get-a-way. We didn’t really know what the famous sights of Edinburgh were, but we knew we wanted to climb Carlton Hill. All day, it had been raining and the stereotype of typical Scottish weather, did not disappoint us. When we climbed Carlton Hill, we could oversee the whole of Edinburgh and all of sudden, the sun came out. The sunrays were lighting up the area around Carlton Hill and we noticed a little cemetery across the street. We decided to go in and take a look. We were wandering around the aisles and these majestic graves and memory stones were towering over us. With graves going back to 1718, the Old Carlton Burial Ground was a place of grandeur and history. 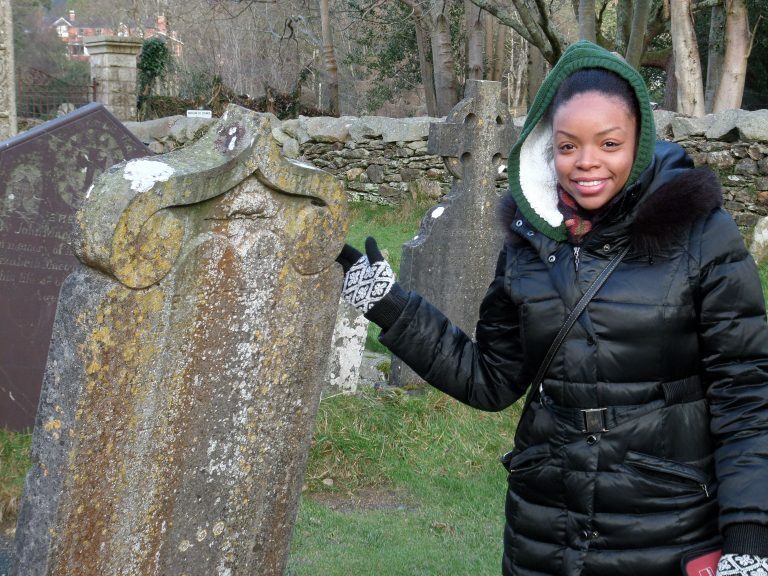 This old cemetery in Ireland was beyond stunning. I spent hours walking around, unable to read the etchings on most of the tombstones as they were too ancient to remain visible. 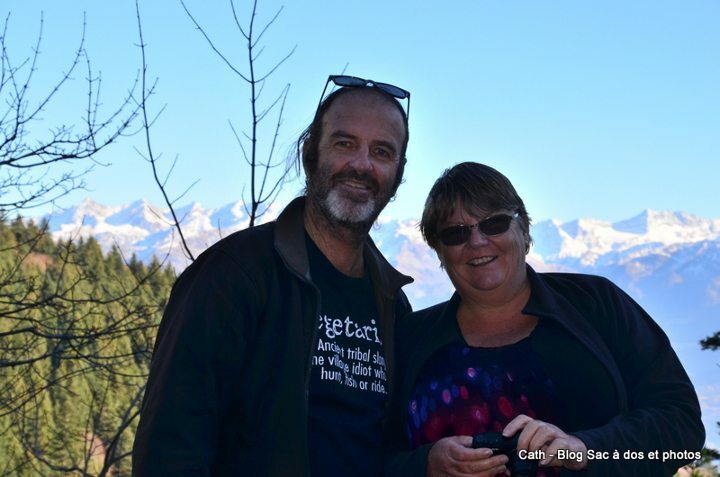 Who were these people? What were their lives like? I morbidly pondered how they died as I walked around, a strange sensation encompassing my body. The following day, I went to a nearby cemetery in which there were no tombstones at all; they merely had a field with unmarked graves. 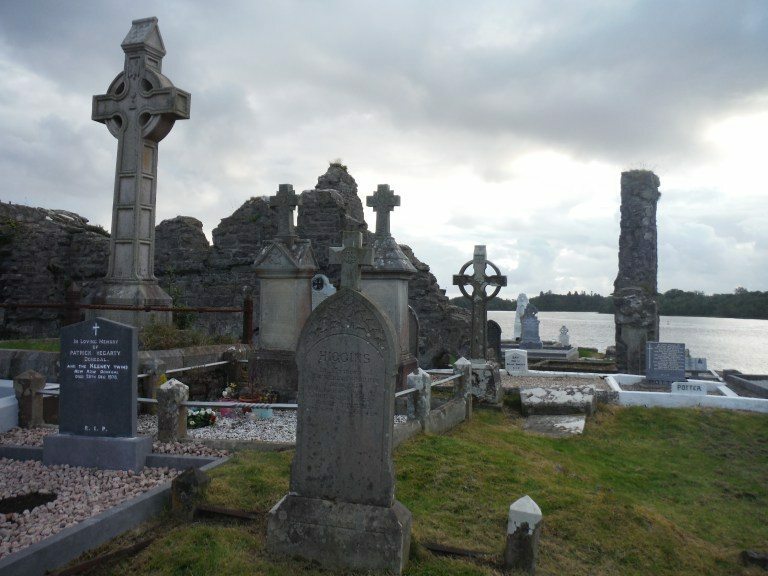 A sign indicated that these unmarked graves were for those who dyed in the famine of the 1800s – the poor people, that is. The contrast of the first magnificent cemetery for all those who could afford it, compared to these unmarked graves was nothing short of eerie, but a beautiful experience nonetheless. 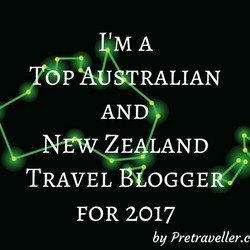 If you have any cemeteries to add please get in touch.